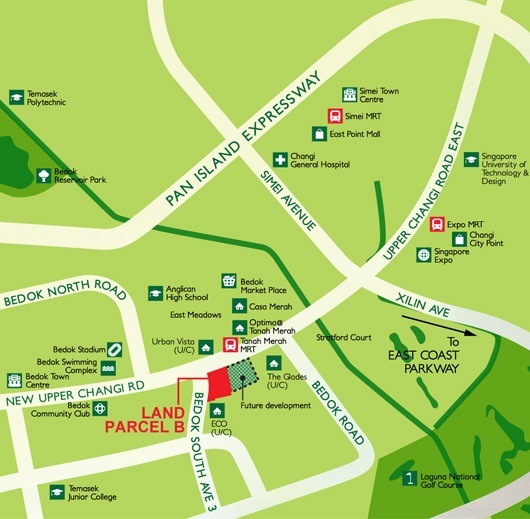 The land parcel is located within an established private residential estate and near Tanah Merah MRT Station. Many condominium developments such as Stratford Court, East Meadows, Casa Merah and Optima@Tanah Merah are located in the vicinity. With many reputable schools nearby, such as Anglican High School and Temasek Junior College, the development will be an ideal home for families with school-going children. Situated close to Changi Business Park and Singapore’s fourth university – Singapore University of Technology and Design. 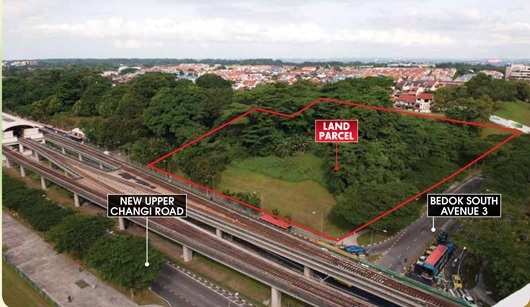 A CHIP Eng Seng unit has put in the highest bid for a residential site at New Upper Changi Road/Bedok South Avenue 3 (Parcel B). The site was put up for sale by the Urban Redevelopment Authority last month. 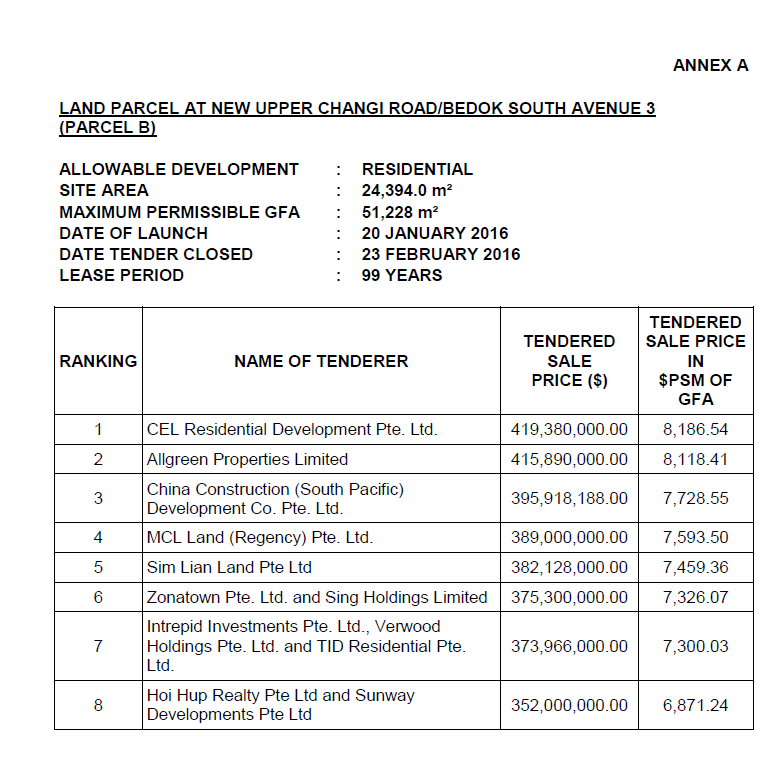 Chip Eng Seng’s unit, called CEL Residential Development, bid S$419.38 million or S$760.56 per square foot per plot ratio (psf ppr). It bid seven others to the top spot. First runner-up Allgreen Properties bid S$415.89 million (S$754.23 psf ppr), followed by China Construction (South Pacific) Development which bid S$395.92 million (S$718.01 psf ppr). The site was originally on the reserve list of the Government Land Sales Programme. Such sites are only launched for tender upon successful application by a developer. In a statement filed to the Singapore Exchange on Tuesday, Chip Eng Seng said that 500 sq m of the gross floor area will be used for child care centre. The proposed development, with full condominium facilities, will comprise about 720 residential units. It will be financed by internal fund and bank borrowings and is not expected to impact the group’s net tangible assets and earnings per share for the current financial year ending Dec 31, 2016, it said. Fore more information on New Upper Changi Road / Bedok South Avenue 3 (Parcel B) condominium, simply fill up your details below and our salesperson will get in touch with you shortly!